We stop a cab to took us to a motel around UGM (Gajah Mada University). We got a well-better-than-nothing room for IDR 200.000 or USD 20.65 with an extra bed. hehehehee we couldn’t stop laughing when the bed keeps make a ‘rotten wood’ sound every time we try to move our body. 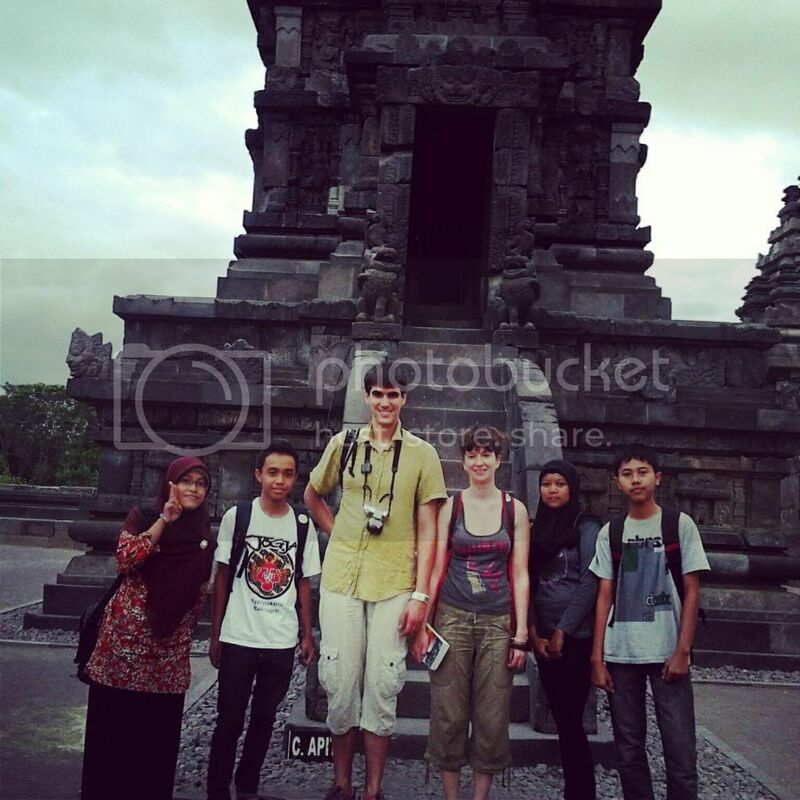 The next day, we went to Prambanan by a bus (Trans-Jogja). The verry verry best things about this bus is, it can take you everywhere around Jogja only for IDR 3.000 or USD 0.31. a very tempting offer and I am tempted. 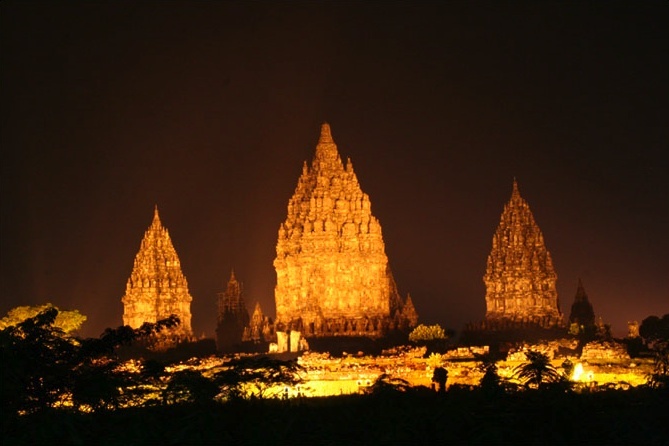 Enter the complex of Prambanan you have to buy the entrance ticket for IDR 30.000 for a domestic tourist, and if you are an international tourist they will charge you more than I can afford I think hahahahaaa because you are an ‘international-tourist’ and you are special. 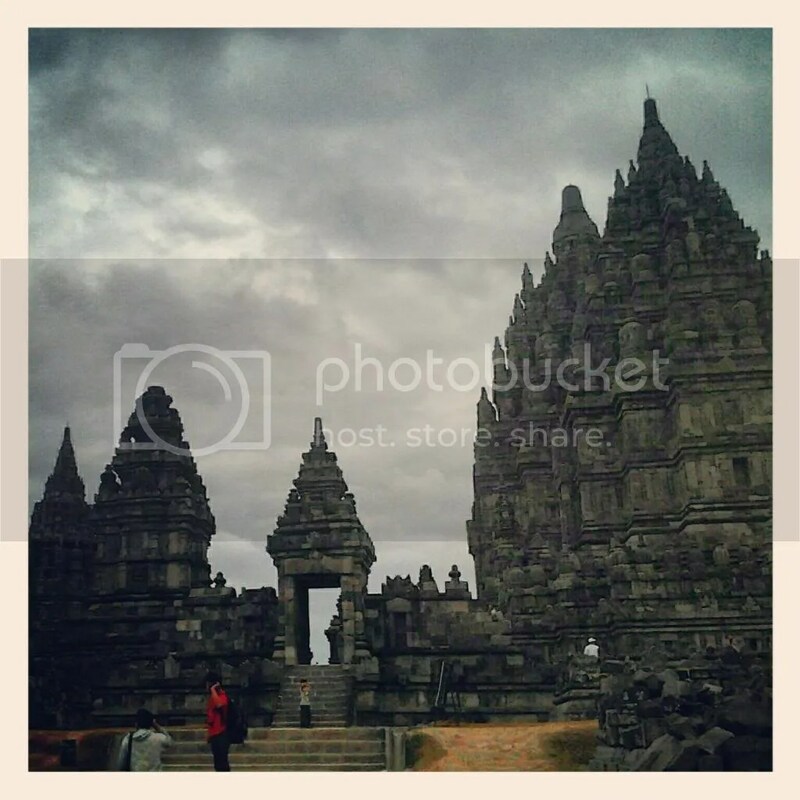 Again, I won’t tell you the complete and detail story about Prambanan from Historically point of view, because Wiki always manage to be the winner, and it provides you a lot more detail History about Prambanan, Historically. 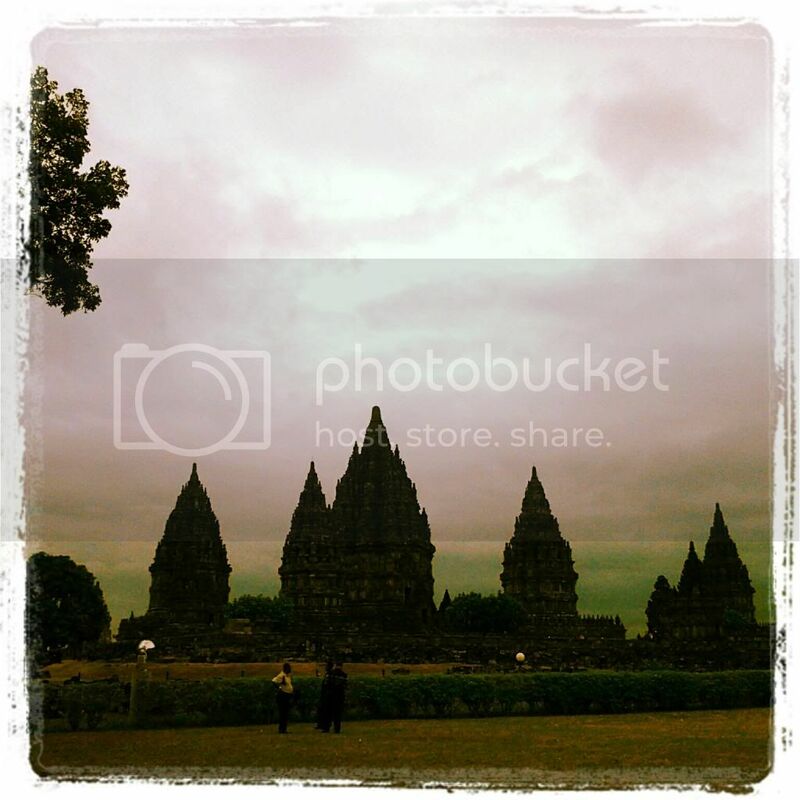 Prambanan complex has some of other complex around. 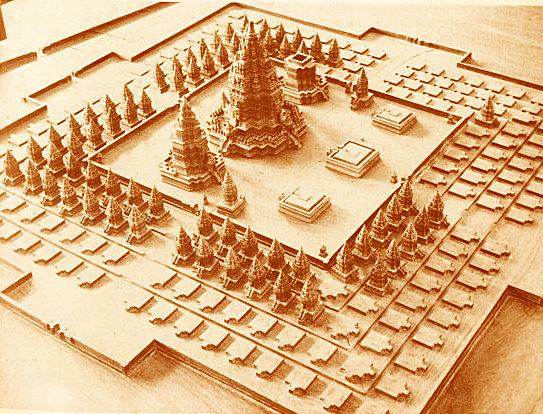 and the Main Complex, Loro Jonggrang it self consist of several Main Temple Called Brahma, Visnu, Shiva. Each temple dedicated to Hindu’s God. and the biggest temple of Loro jonggrang Complex is Shiva temple. those Temple it self surrounded by another smaller Temples. too Bad, we can’t just go inside the temple. because some of temples are restricted to enter because of safety issues, due to earth quake a year ago some of temple can’t bear any more pressure. It is heaven for History or archeological research. trust me. 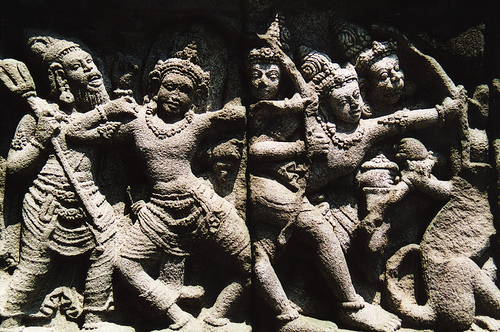 There are carvings on the wall of the temples. we called it ‘relief’ in Indonesia. I think If I were a archeologist it will like read a huge history comics from the past written on the wall.